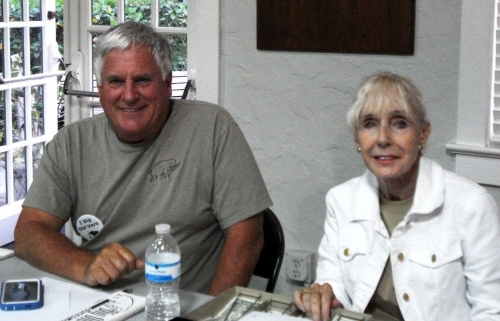 Judi Collins setting up the table for t-shirts, caps & pins. 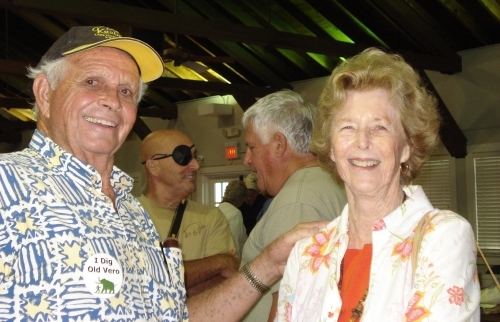 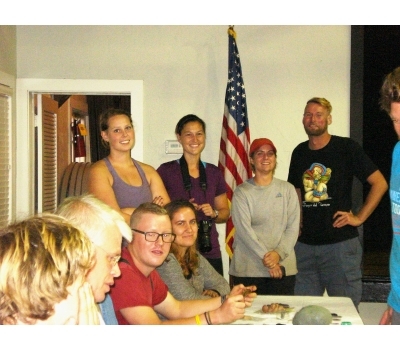 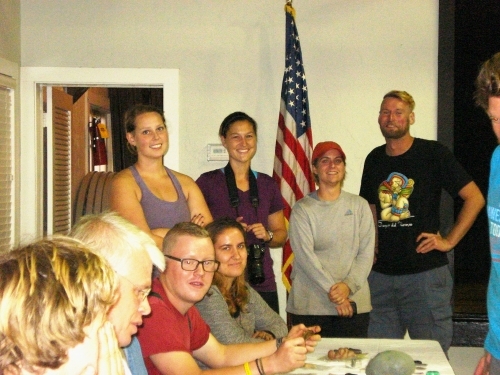 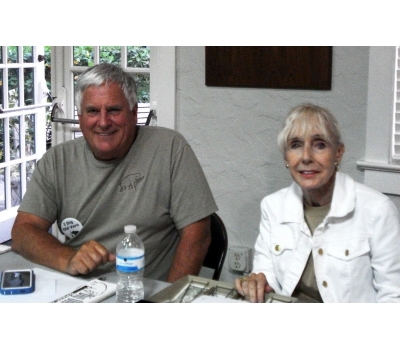 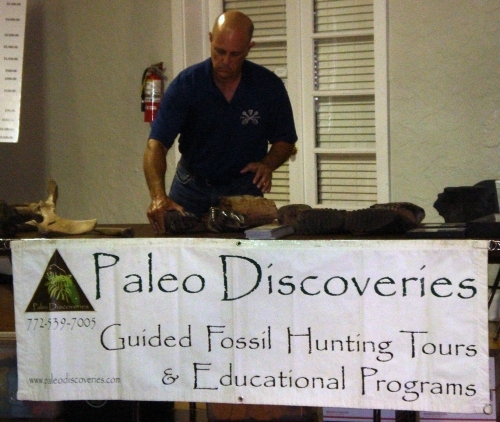 Was held on Thursday March 26, 2015 at The Vero Heritage Center, 2140 14th Ave, Vero Beach FL. 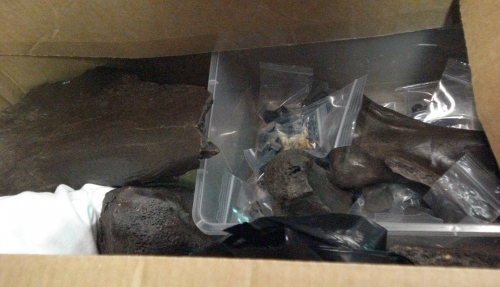 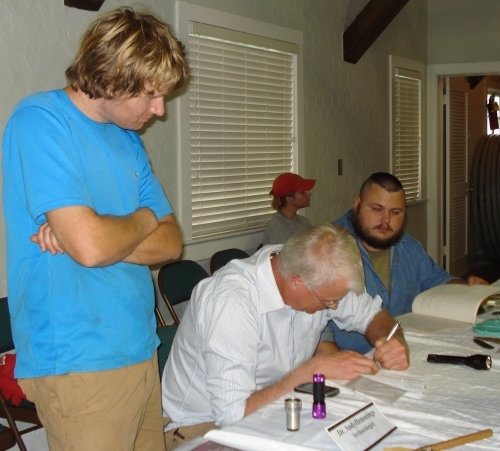 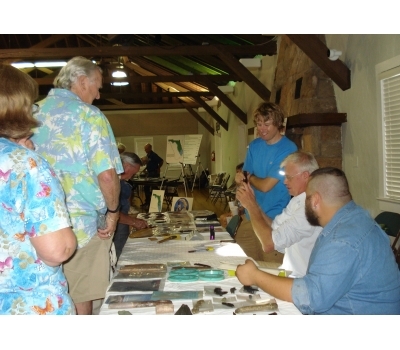 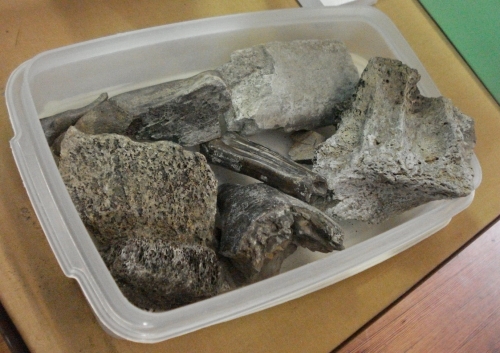 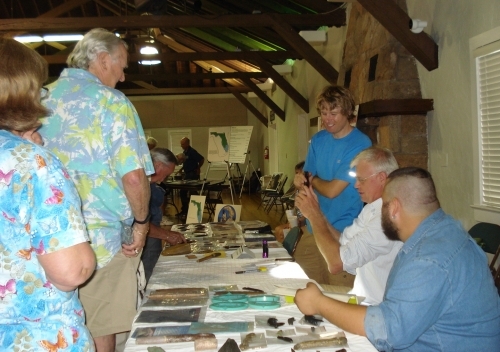 Folks brought lots of fossils and artifacts that were identified by Florida State Museum of Natural History Paleontologist Dr. Richard Hulbert and Archaeologist Dr.Andy Hemmings of Mercyhurst University. 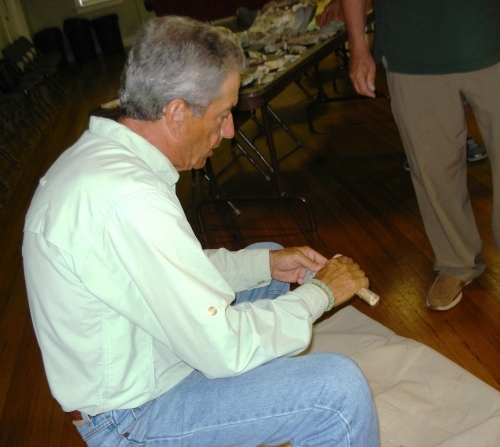 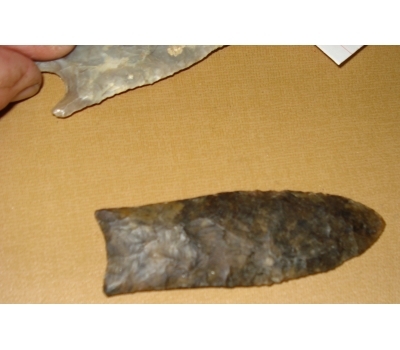 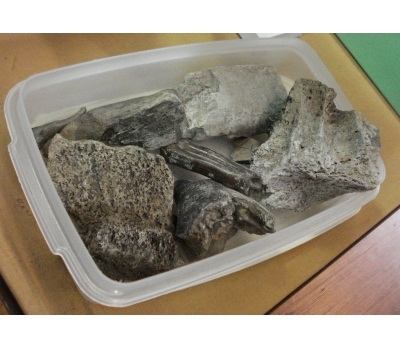 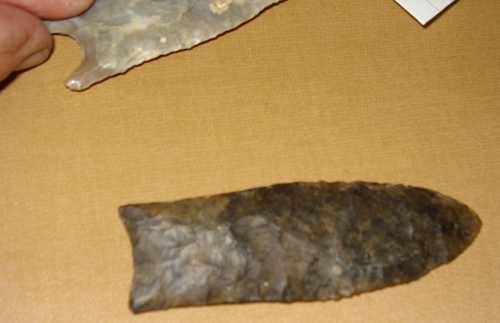 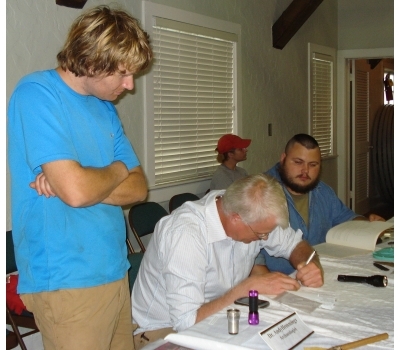 Dann Jacobus demonstrated replicating prehistoric tools from stone, bone, antler and shell. 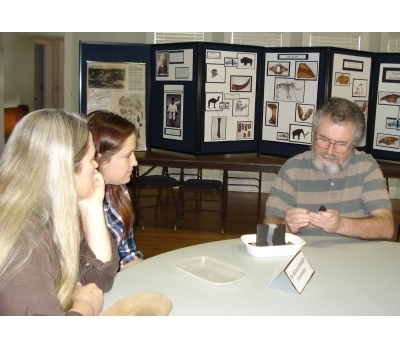 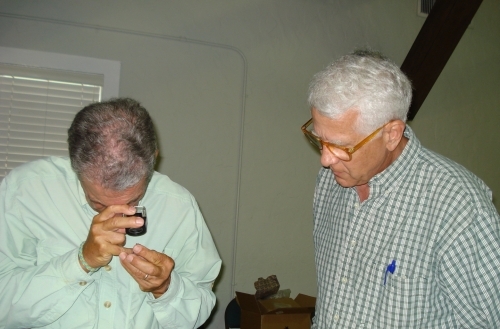 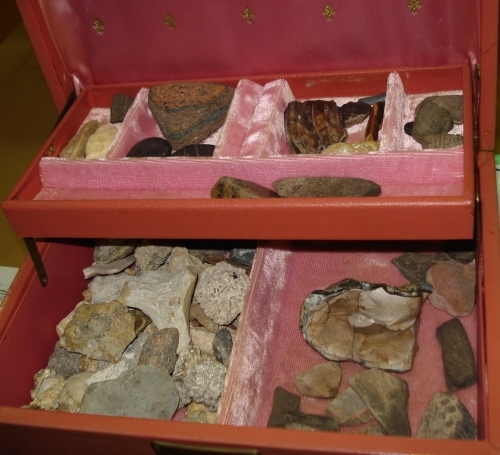 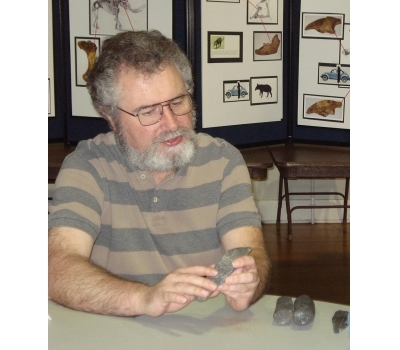 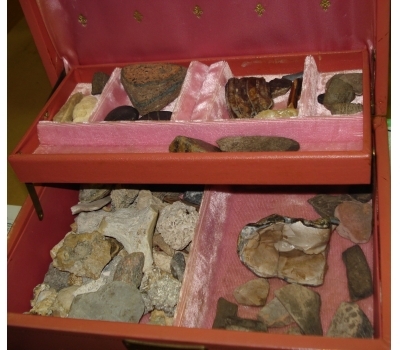 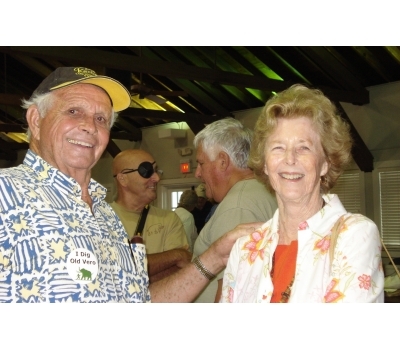 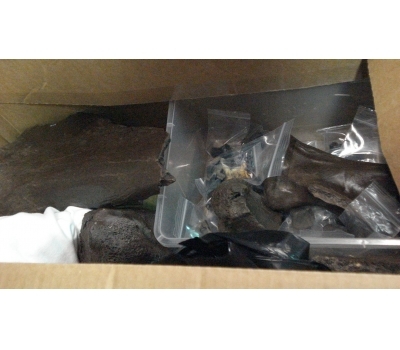 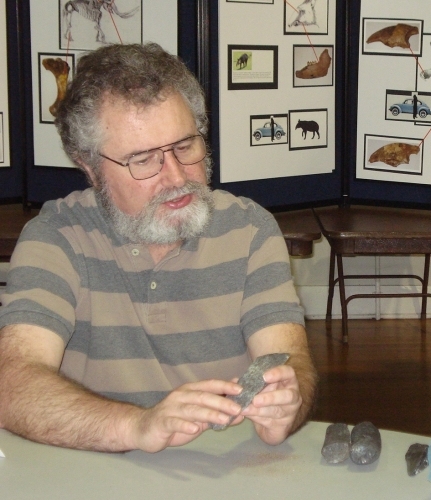 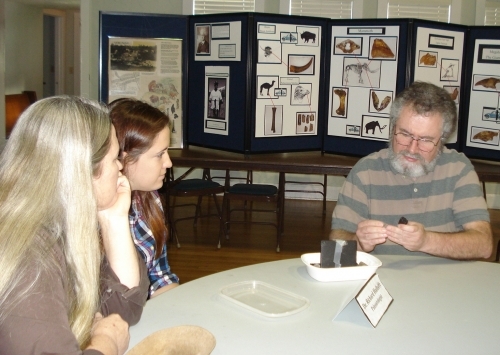 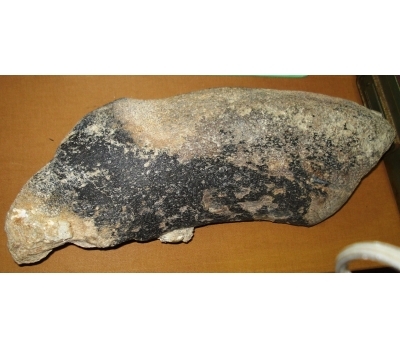 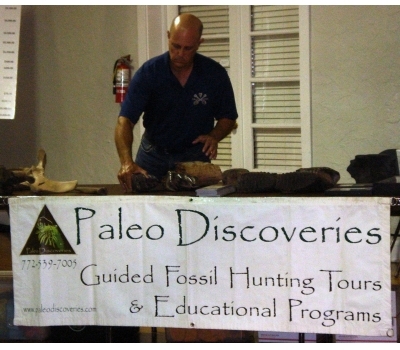 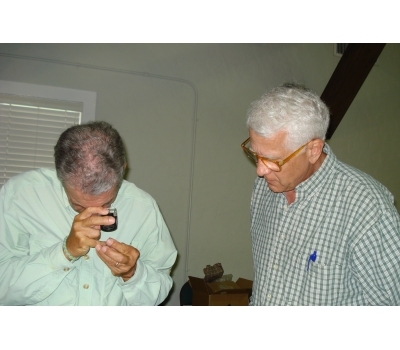 Fred Mazza, Paleo Discoveries, had displays of fossils and artifacts found in Florida.